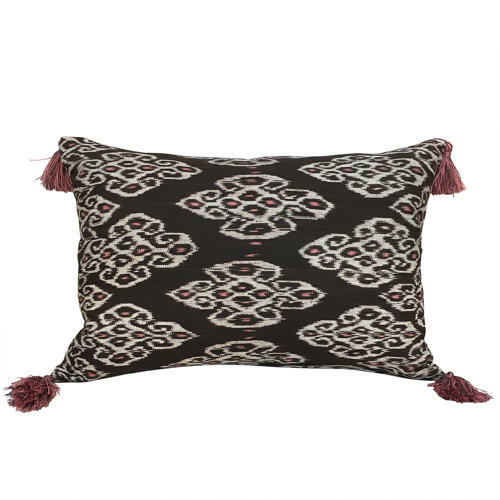 These two cushions are made from a newer handwoven ikat from Timor Indonesia. The colours are brown, stone and pink and I've added tassels in a mix of pink and brown yarns. There are zip fasteners and feather pads.